Russian prisoners took part in Maslenitsa celebrations on Tuesday by competing in games in eating pancakes. Inmates from six prisons wee brought to a penitentiary in Yaroslavl region. some 300 km north of Moscow, to participate in the activities which can count favourably towards being paroled. 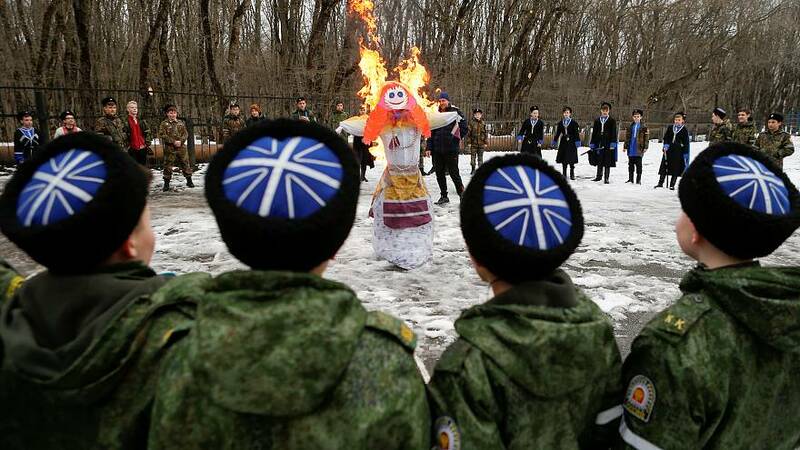 Maslenitsa, a celebration to mark the end of winter, started as a pagan festival but has been absorbed in the Russian Orthodox Christian tradition. The name of the festival has its roots in the Russian word for butter, "maslo," and for Russians, Maslenitsa is a time for feasting. Like Shrove Tuesday in other countries, pancakes are the food of choice during the festivities.